Mr. Dean Filipi’s General Industrial Technology class at Exeter-Milligan has been diligently working on their own projects this semester. Each student designs a project and then works throughout the semester to complete it. 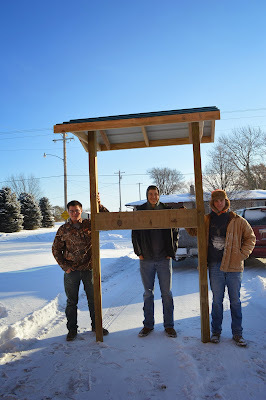 Pictured are Cody Filipi, Alex Benorden and Garrett Pribyl with their deer feeder project.